The new GREMLIN 4G LTE tank monitor provides extended coverage and a dedicated bandwidth using CAT-M communications. 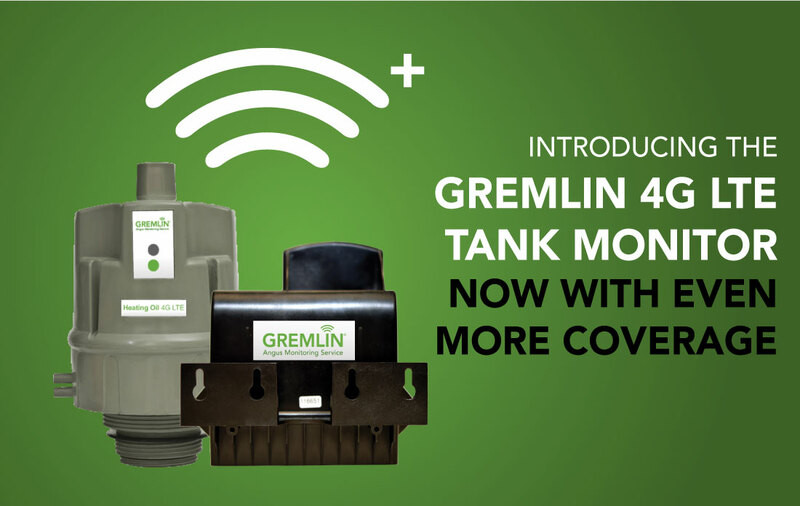 “While listening to our clients’ recommendations, we determined the need to innovate our heating oil monitor to provide another connection option in addition to the homeowner’s Wifi” says David Montgomery, Client Relationship Manager for GREMLIN tank monitors. The GREMLIN heating oil 4G LTE monitor offers the same core features as our other GREMLIN products and provides a larger coverage area. All of the GREMLIN tank monitors include features such as a dealer app for mobile installation, back-office integration, a custom dealer branded app, 7+ year battery life, low upfront costs with approved financing and continuing end-to-end support pre, during and post deployment.